A criminal mastermind is hiding in the villages and jungles of Colombia. The Patrón has been ruling Colombia for too long, and now his enemies have joined forces to find him and put an end to his operations. 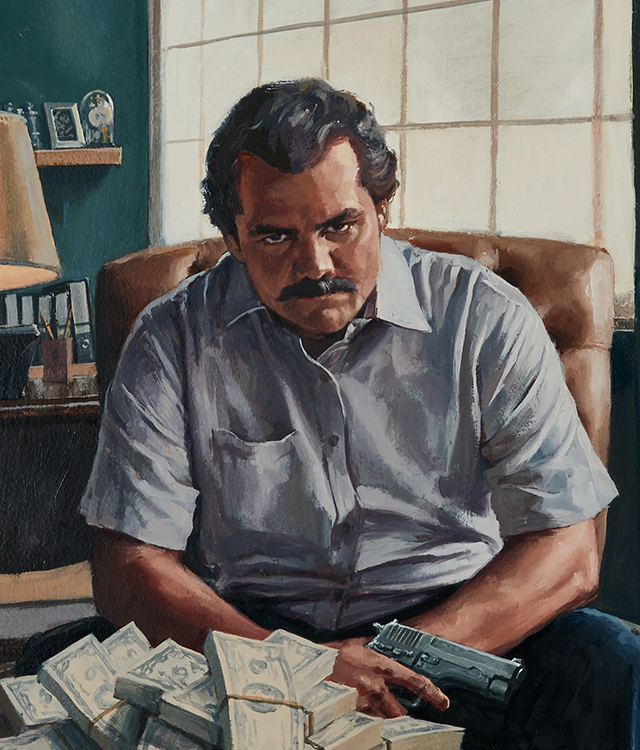 In Narcos, one player assumes the role of the Patrón, while the others become the Factions who are trying to track him down. It is a tense game of cat and mouse through the villages and jungles of Colombia, as the Patrón makes his moves throughout the countryside and the Factions work to close the net around him.